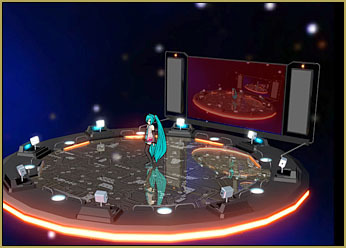 How do I light the Lights on the LearnMMD Stage? 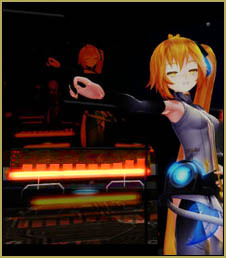 Where can I download the LearnMMD Stage? Where can I download the AutoLuminous effect? Turn on the Lights on the LearnMMD Stage! Deviant Art’s trackdancer created our beautiful LearnMMD Stage. He included many innovations that MMDers will love… including a mirrored dance-floor with a sub-floor circuit-board pattern, a futuristic modern design, a tinted projection screen, a beautiful skydome with distant color bursts, and a “Lighting System” triggered by the MME AutoLuminous Effect. Download the Learn MMD Stage from our Downloads page. Inside the folder, you will find trackdancer’s illustrated instructions and some written instructions, too! You will load a couple of .x effects included in that folder, and then the .PMD Stage, itself, which loads as a model rather than as an accessory. As you load the mirror effect, be sure to rotate it as per the instructions so that the mirror sits flat on the dance-floor. NOW you can turn on the lights! Load your AutoLuminous effect through the AMP (the accessory manipulation panel) as you would any other effect… and, watch the stage light up! Don’t HAVE that effect? … download it here. The AutoLuminous Effect brightness can be controlled using the Si setting in the AMP. A Si of 1.0 is the normal … make it brighter by using larger numbers. It can be set to be insanely bright! Trackdancer also included with your stage a VMD Spectrum Display that can dance along with your soundtrack… you will need to create a motion file to drive it… read all about it here. 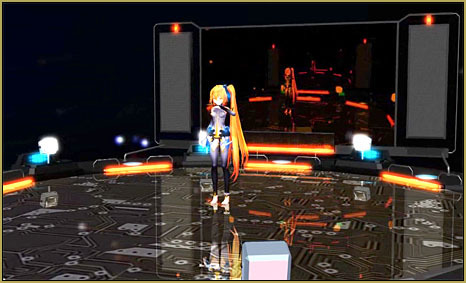 The LearnMMD Stage is a beauty… suitable for high-speed Rock n’ Roll explosions, or for quiet ballads, as well. It is a gorgeous background upon which to showcase your favorite models. How do I make my own motion data on the models using vmd motion data?